Part two of Tightwad's frugal resos for 2011. 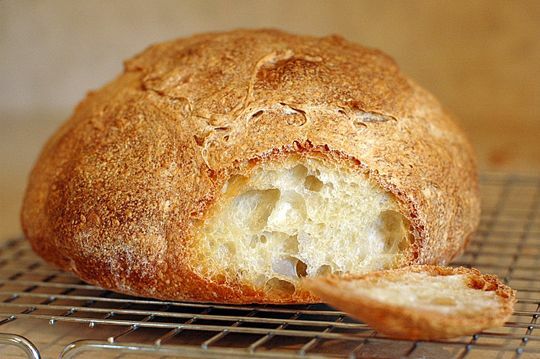 Here it is: bake your own bread. Commercially prepared bread is less healthy. Like, by quite alot. Commercial bread can contain traces of poisonous materials such as preservatives, chemical pesticides, insecticides, anti-fungal chemicals, bromides, and aluminum - for starters. These materials can have an adverse effect on our health. When you make your own bread, you know what's going in there. It's a no brainer. Tightwad isn't suggesting that you hand mill your own organic flour and knead the dough for hours. Why should you? Quality breadmakers are widely available, and the purchase of one would quickly pay for itself. With a regular type of bread costing about $2.50 and an artisanal one upwards of $5.00, (check this out!) the savings implications are big. Even with top notch ingredients, seeds, nuts and organic staples, making your own bread will top out at $1.00 a loaf, but would probably cost closer to $.85. Added benefit: the smell of fresh baked bread filling your house......... ummmmm. My husband just brought out our breadmaker now that we have room on our counter tops. I'll have to get him motivated to make some. Warm, freshly baked bread is the best!